Sad to have had to cancel the MSS Garden Party today but the forecast was right and it is a wet and chilly day for June. We have re-arranged it for September 16th which WILL be a glorious late summers day! 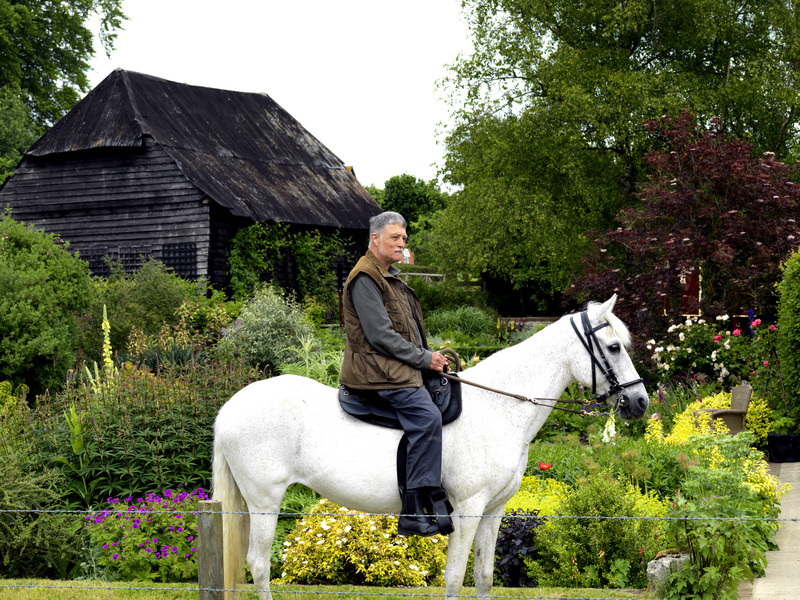 Meanwhile Penny is working hard in the Garden for several NGS Open visits coming up, and I am learning my Dressage moves for a forthcoming visit to Germany – Paso Fino Fiesta. Sarah is taking our Luna, Hannah’s Athenia and Julia’s Oriente in the Lorry. Sarah and Hannah travel with the horses and Gill, Julia and I are flying. It should be fun, and Julia is kindly letting me ride her lovely Oriente at the Show as Sarah is riding Luna who is a biy to spirited for me. I am pleased because I like riding him and we got First Place in Amateur Performance in the recent Saddlered Show. So off we go – Sonadora aged 18, and me a crippled old man of nearly 68 – gaiting all the way through Longstock, past the pub, over the Bunny Bridges, nearly a mile along the Test Way, through two roundabouts on the A30 and down Stockbridge High Street – to the delight of tourists and locals alike.